Crowdpolicy Founders, Michael Psallidas and George Karamanolis, were integral parts of the OpenGov Initiatives in Greece for the period 2009-2012, having active participation in more than 30 Public Sector Projects. 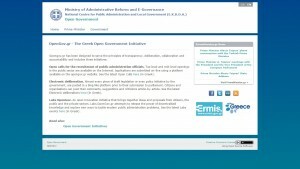 Οpen calls for the recruitment of public administration officials. Top level and mid-level openings in the public sector are available on the Internet. Applications are submitted on-line using a platform available on the opengov.gr website. Electronic deliberation. Almost every piece of draft legislation or even policy initiative by the government, are posted in a blog like platform prior to their submission to parliament. Citizens and organisations can post their comments, suggestions and criticisms article-by-article. Labs OpenGov. An open innovation initiative that brings together ideas and proposals from citizens, the public and the private sectors. 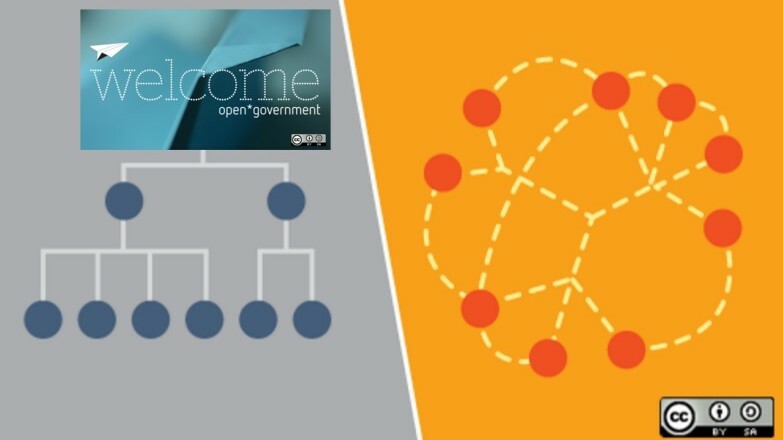 Labs.OpenGov.gr attempts to release the power of decentralised knowledge and explore new ways to tackle modern public administration problems. Beginning October 1st, 2010, all government institutions are obliged to upload their acts and decisions on the Internet with special attention to issues of national security and sensitive personal data. Each document is digitally signed and assigned a unique Internet Uploading Number (IUN) certifying that the decision has been uploaded at the “Transparency Portal”. Following the latest legislative initiative (Law 4210/2013) of the Ministry of Administrative Reform and e-Governance, administrative acts and decisions are not valid unless published online. The open administration initiative is based on the principles of openness, collaboration and accountability aimed at improving the quality of the public services provision through the use of experiences and proposals of any interested individual or business. The law on e–governance was approved by the parliament on 24th of May 2011, the law introduces many innovations, such as the right of citizens to transact with public authorities using ICT’s and forms a robust legislative framework for the use of ICTs throughout the public administration. The law emphasizes on transparency and citizens participation introducing the “issue tracking model” for any citizen issue and the constant evaluation of services provided by the Greek government. Geodata.gov.gr is a catalogue and web mapping framework providing open geospatial data to citizens. The service was designed, developed, and maintained by public bodies, and is built exclusively on open source technologies and standards. 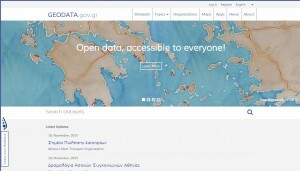 Geodata.gov.gr is currently one of eleven governmental services worldwide providing open data to citizens. Operating for less than nine months, has succeeded in providing savings of more than 15M euros for the public administration. The initiative of the Codification of Greek Legislation contains the legislation since the establishment of the Greek state, ie from 1834 to today. It includes laws, ordinances and regulatory decisions and the unique source of information is the Government Gazette. The legislation, together with the related indexes are included in 111 volumes and are categorized in 40 thematic areas. The Illegalsigns project aims to address the problem of uncontrolled large number of illegal outdoor advertisements in Greece based on crowdsourcing and digital communication. All over the country and especially at the centre of Athens and the highways leading to the suburbs there were over 25.000 illegal outdoor advertisements mostly of enormous size on the roofs of the buildings and on the sideways. Startup Greece is an information, networking and collaboration space, aimed at creating a new generation of entrepreneurs in Greece. It is supported by the Ministry of Regional Growth and Competitiveness and the Greek Government in collaboration with communities of young entrepreneurs. The Open Infrastructure Initiative aims to provide feedback towards the Greek Government in order to promote the usage of open network infrastructures towards the completion of EU’s Digital Agenda 2020 goals and milestones. The Open Infrastructure Initiative focuses on models and techniques which could reduce investment, deployment and operating cost for next generation wired (i.e. fiber to the home-FTTH) and wireless (i.e. LTE) networks. The Open Taxation Data initiative aims to improve the accountability, reduce the bureaucracy and increase the transparency of Greece’s taxation system. As part of the initiative, the General Secretary of Information Systems of Ministry of Finance, has published extensive statistical data from the year 2000 onward. In addition it has made available on a daily basis each regional tax office’s outstanding and has handled cross-checking cases.